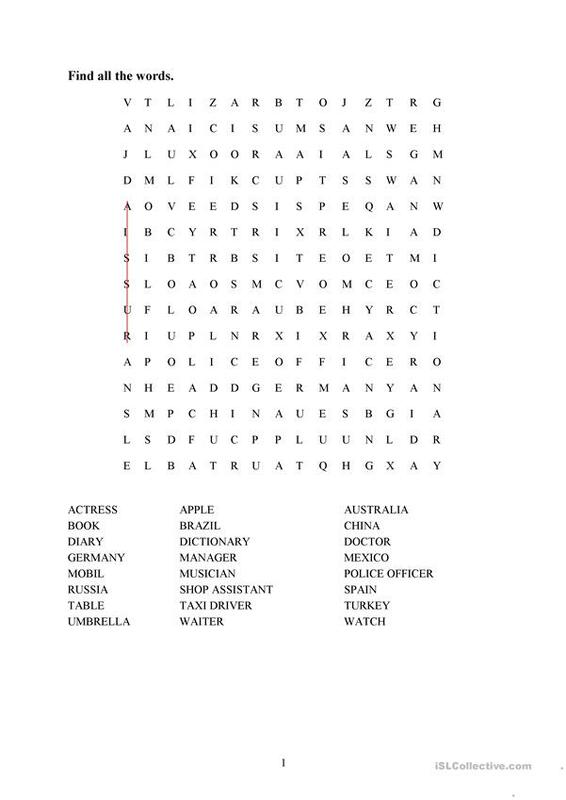 Simple word search with one post-activity. 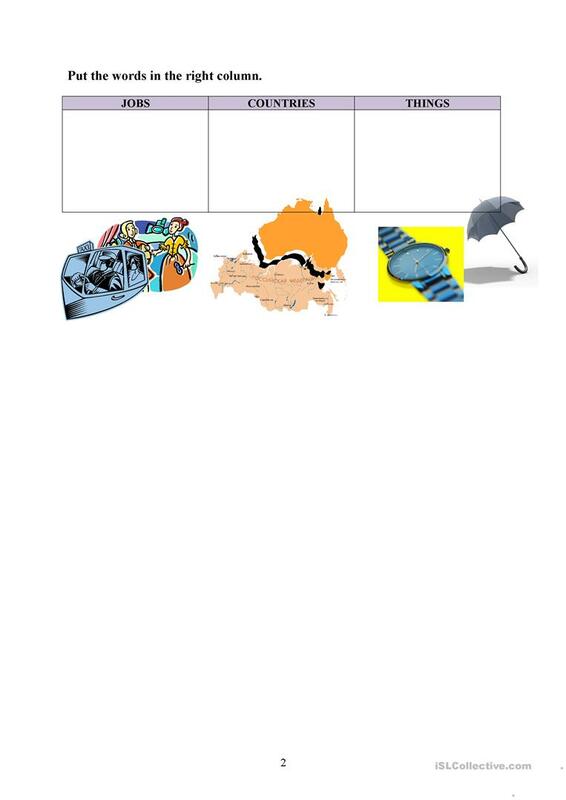 Vocabulary - objects, countries, jobs. The above downloadable worksheet is a great resource for high school students, elementary school students and adults at Beginner (pre-A1) and Elementary (A1) level. It is excellent for working on your groups' Spelling, Reading and Writing skills. EliskaDl is from/lives in Czech Republic and has been a member of iSLCollective since 2011-05-09 15:07:52. EliskaDl last logged in on 2018-10-04 16:34:19, and has shared 5 resources on iSLCollective so far.